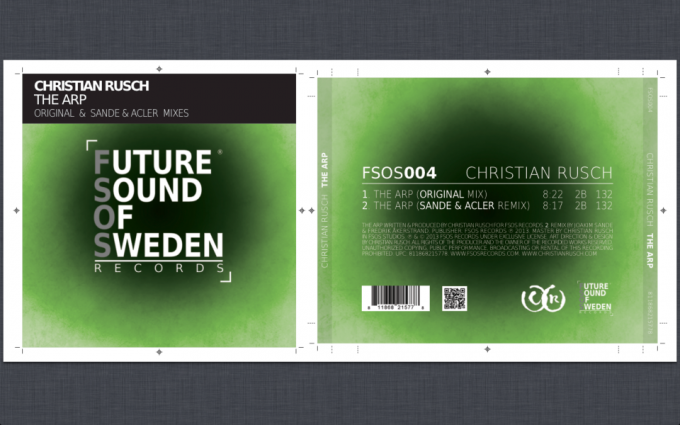 The guys and girls over att Future Sound Of Sweden Records just announced their fourth and latest release. This time it’s from the legendary Christian Rusch. Christian Rusch started producing EDM back in year 2000, and had a huge breakthrough with the magic tune Epic, co-produced with Greg Murray. The last years he has been tutoring Tïesto in producing music, and has been working on his own material for a while. The b-side is a remix by the up-and-coming producers Sande and Acler.